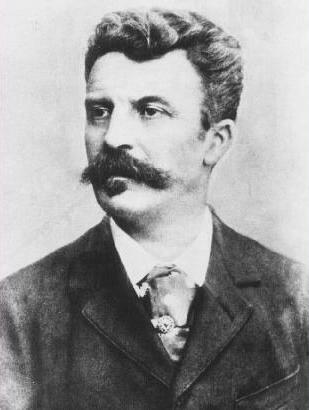 Objectives: Students will be able to demonstrate an understanding of setting, culture and theme within Guy de Maupassant's short story "The Necklace". -They will demonstrate a clear understanding of the use of Internet Explorer through researching French culture. -They will demonstrate a clear understanding of Microsoft Word by completing four elctronic journal entires. -Students will walk away with an understanding of societal pressures that exitsted in past and present French culture, as well as being able to relate it to their own personal lives. Initiation: We drew students in by telling them that they were going on a mock field trip, back in time to 1880's Paris, France. This should catch their interest because it allows them to experience a different culture than they have been exposed to. 1. Use provided links to research the given questions on French culture. Make sure to gather sufficient information on past and present culture. 2. The first two journal entries are written in the first person in which the student adopts the personality of a wealthy aristocrat and a working class citizen. 3. The third journal entry requires the student to use the information they have gathered and complete a comparison between past and present societal differences in France. 4. The fourth and final entry is where the student uses the information they have learned and applies it to their own classmates. Students will observe their peers and recognize differences among styles, appearences, and relationships that exist. Closure: The conclusion of the webquest leaves the student with several open ended questions. Class discussion will follow the completion of the project in order to make sure that all students have a total understanding of the setting, culture, and theme of "The Necklace". -Did your research help you gain a better understanding of the story? -Can you easily compare past and present French culture and/or societal differences? -Were you able to relate any occurances in the story to your own life? -How has this project and its research changed your outlook on your everyday life? Assesment: There should be a formal assessment of the students' four journal entries. A rubric should be used to grade such things as content, creativity, mechanics, and level of focus. Rubrics can be changed to accomodate your style of teaching. -compare Guy de Maupassant's writing syle in his other short stories, to that of what they have seen in "The Necklace".